Based on my life as an Algonquin Anishinaabe-kwe, and my doctoral work, this book offers something for everyone: an analysis of Algonquin contact history, a first ever insider analysis of the land claims process, an examination of Algonquin agency, and an analysis of the continuing colonial project. 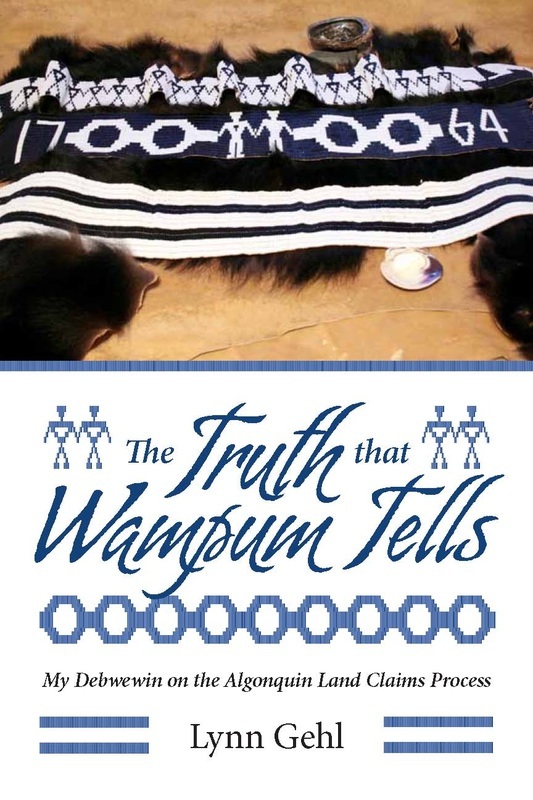 It does this through valuing traditional ways of knowing and being such as wampum diplomacy, as well as valuing the role of both the heart and mind as repositories, and creators, of knowledge. Indigenous Waves with Susan Blight. CIUT 89.5 FM. University of Toronto Canada. June 2, 2014. OPIRG-Carleton with DJ Hyperbole. CKCU 93.1 FM. June 24, 2014. Gehl moves beyond Western scholarly approaches rooted in historical archives, academic literature and the interview method. She also moves beyond discussions of Indigenous methodologies, offering an analysis through Debwewin Journey: a wholistic Anishinaabeg way of knowing that incorporates both mind knowledge and heart knowledge and that produces one’s debwewin (personal truth).